Hi everyone! 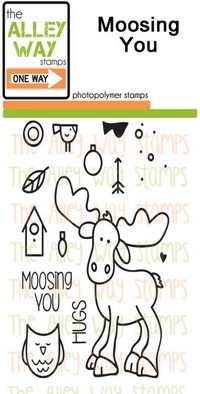 It’s time for The Alley Way Stamps February release blog hop! The new stamps are awesome. There are THREE new sets and ONE mini set in this release! The hop begins on Alison’s blog and if you have been hopping along, you should have come from Emily’s blog. Make sure you hop around to all of the blogs featured in the link list at the bottom of this post. You will find lots of inspiration! Today, I’m showcasing the *NEW* Tootharina set! The sentiment - that I heat embossed with white embossing powder - is from the Words to live by set. There are PLENTY of different ways to win! You can pick and choose which ones you want to do. But the more ways you choose, the more chances you have to win! One way is to enter the Rafflecopter on the TAWS blog. For our friends that are not on social media, you can join in too and comment on the TAWS blog – we will randomly pick from either the Rafflecopter participants or commenters! Another way to win the new sets is to comment along this blog hop. So be sure to check out the TAWS blog for all the details. This runs today only (January 31, 2015 – TAWS time)! OmGOODness, She is so adorable and love her dress, totally popped up in black BG!!! Beautiful! Definite work of art! Fantastic card. Your awesome colouring really pops on the black stencilled background. A stunning card Francine, a fabulous background with a beautifully coloured sweet image, a great sentiment and lovely sequins!! Oh my - you make this little fairy shine! FABULOUS! Wow! Incredible background for Tootherina! WOW incredible background and that fairie really pops up. I'm swoon by your coloring as Always. Can't stop watching it. TFS. Stunning card - great coloring and I love the dark background and the image. WOW this is just the cutest! 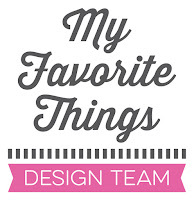 TFS and inspiring! Love this card! Your coloring is amazing! Wow, Francine, your card amazes me!!! Ooh, I have the background stencil. Nice use of it! Lovely card! Wow....this card makes such a statement! I just love the stenciled background. Francine this is just a work of art!! So beautiful!! WOW! Beautiful fairy - your colouring is amazing! ... and your coloring amazes me! Copics? I always enjoy seeing what you create. You make such cute cards. WOW!! Your art work really amazes ME!! Gorgeous design and what a really cool background!! your back ground looks almost like a wind tunnel! truly fantastic colors! "you amaze me" for sure. thank you for your return comment on my blog after my visit this week. from across the world, hello from your sister town founded in 1710 by Baron De Graffenreid. Coloring of Tootherina ia PRETTY!!! TFS !!! So bright and beautiful card!!! I love this. Bon eh bien j'ai loupé une chance, mais malgré tout je suis amoureuse de cette carte, cette petite fée est adorable ! Ta carte est sublime ! Such a beautiful card! My daughter just screamed out loud when she saw your fairy. I love the colores you used and the awesome glitter wings. Thanks so much for playing along with us at the Stempelküche challenge. She is absolutely brilliant on that stenciled background that takes this card to another level Francine.